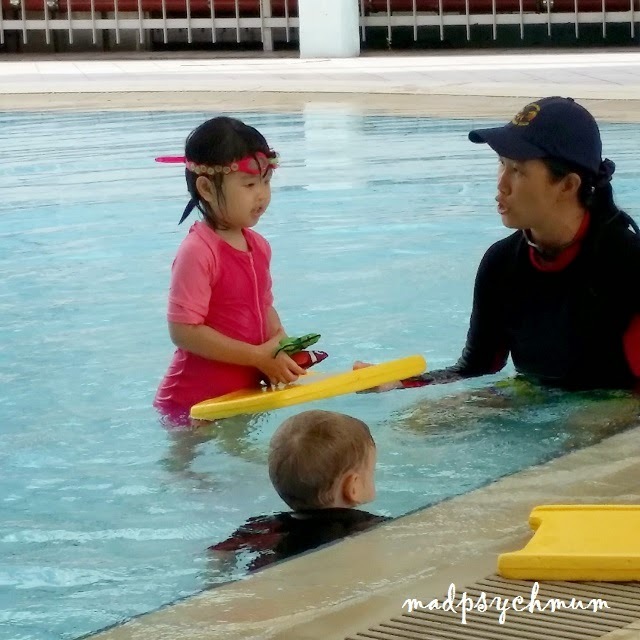 My girl has always been a fan of swimming so it was no surprise that despite being "no weekend enrichment class" kind of parents, swimming lessons were a priority for my girl. I was told to wait until she was 4 years old before signing her up as she would be old enough to follow instructions and learn at a quicker pace. So wait we did, for almost a year! It was worth the wait though as true enough, she was physically more ready for her swimming classes (she started with the beginner Tadpole Class). When she first started she didn't dare to dunk her head underwater, hold her breath underwater or swim without her arm floats. After just 8 lessons, not only has she discovered a new world underwater with her goggles, she can also hold her breath and blow bubbles. 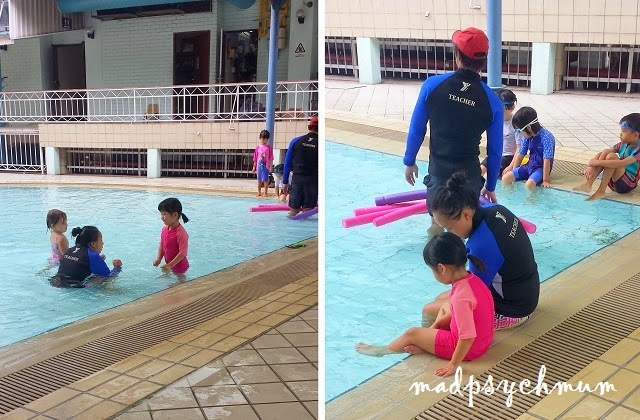 Kicking and swimming with a board float also came really easy to her and soon she no longer needed her arm flat. Recently I also encouraged her to take a step of faith and swim without her board float. She was apprehensive at first but after much persuasion, she did! Her instructor also assessed that she fulfilled all the requirements of the first 2 Beginner Classes (i.e. Tadpole & Crayfish) and graduated straight to the 3rd Class (Goldfish)!